These new Martin SP Lifespan 80/20 Bronze Coated Acoustic Guitar Strings are treated to preserve the SP tone and feel for the life of the string. 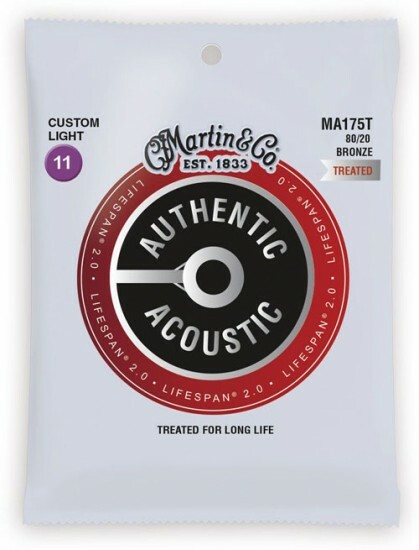 Martin SP Lifespan 80/20 Bronze Coated Acoustic Guitar Strings offer a bright tone. Top artists use this 80/20 Bronze string for live performances and studio recording due to its brilliant tone out of the box, which "breaks-in" to a warmer sound. Next time I will get Elixir strings because these SP's have already began to sound dull.